He shoots, he scores, he falls wanking to the floor on this boldly experimental jazz odyssey. Can lightning strike twice? Bowie’s 2013 comeback album The Next Day was as much a testament to brilliant marketing as musical skill, arriving from nowhere after a decade of silence, secrecy and sinister rumours. It topped the charts globally, earning the legendary rock recluse his first UK No.1 in 20 years, and helped make the David Bowie Is… exhibition a worldwide blockbuster. A sell-out tour without the Thin White Duke even having to leave his New York bunker? Genius. Due for release on Bowie’s 69th birthday on January 8, Blackstar arrives with a little more notice and background information than The Next Day, but not much. This time, the beloved art-rock godfather cannot depend on the delighted surprise and (frankly) relief that he’s alive and kicking. With its seven lengthy tracks, this album is leaner and more focused than its predecessor, but also more defiantly arty and less poppy. That said, Bowie’s vocal range and mastery is particularly striking. Blackstar appears to be the score for Bowie’s hotly anticipated stage musical collaboration Lazarus, which opens off Broadway in December. The drama is based on his most celebrated big-screen outing, in Nicolas Roeg’s The Man Who Fell To Earth, but any narrative parallels are buried behind opaque lyrics. 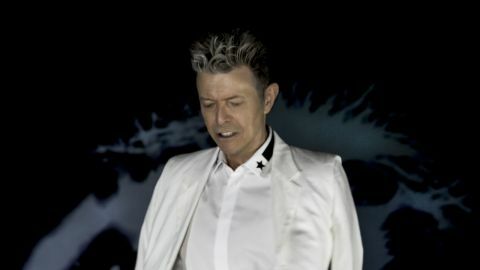 The album was recorded with various New York-based jazz musicians, rather than Bowie’s regular roster of rock players, though long-time producer Tony Visconti returns, and James Murphy of LCD Soundsystem contributes percussion on two tracks. Blackstar begins with its title track, a 10-minute mini-symphony of shifting movements and Middle Eastern melodies cloaked in jazzy electronica and muscular beats. Bowie delivers the ominous, quasi-Biblical lyric like an incantation. Then the music changes mood and a beautiful pop ballad emerges from the maelstrom, a lovely elegy about death and renewal, and fallen angels. A daunting musical monolith at first, this dense sonic tapestry reveals more and more treasures with each listen. Hard-core fans will be disappointed that two Blackstar tracks have already been made public, albeit in alternate versions. The opaquely sketched murder ballad Sue (Or In A Season of Crime) was first released in 2014 in a skittery, brass-heavy, bebop-jazzy drum’n’bass arrangement. This update feels sharper, denser and heavier, with added funk-rock guitar squeals and percussive shudders. Crucially, Bowie’s achingly emotive vocal is terrific on both versions. Dating from the same single package, ’Tis A Pity She Was A Whore was originally a propulsive, roaring, heavily electronic wall of sound. This new version features more organic instrumentation, with squawking saxophone and lush backing vocals that nudge it closer towards the lightly disguised R&B stompers that shaped much of Bowie’s early career. One of the less convincing tracks here is the six-minute title song to Lazarus, the musical, a fairly unremarkable two-chord churn that drags in its latter stages. Girl Loves Me is another slight affair but at least offers more punch, blending tensile art-funk with electronica and drum’n’bass flourishes. For all its arty aura, Lazarus climaxes with two rousingly emotional power ballads that remind us Bowie can still turn on that windswept romantic crooner voice. All plaintive piano and wafting saxophone, Dollar Days is soft and soulful and steeped in regret. Lightly jazzy with a long sax fade-out, this could be an outtake from Young Americans. But the climactic I Can’t Give Everything Away is better, six minutes of heart-swelling widescreen melodrama that builds into an Absolute Beginners-sized epic. Swept along by orchestral strings, a lonely harmonica and liquid guitar solos that recall Robert Fripp’s classic Bowie collaborations, this feels like the sweet reward for sitting through the more ear-bashing experimental tracks. Much of Bowie’s output for the last 25 years paid lip service to his avant-garde leanings while mostly sticking within fairly straight indie-rock parameters. With Blackstar, he has gone deeper, making his most adventurous and uncompromising album since his classic run of Brian Eno collaborations. Even more than The Next Day, these seven tracks suggest the sounds inside his head are in sync with his long-time soul brother Scott Walker, though thankfully he remains on warmer terms with old-fashioned melody and emotion. It seems lightning can strike more than twice, because Bowie’s autumnal comeback keeps getting richer and stranger. Old boys keep swinging.